Enjoying far reaching views across Fistral Bay, towards Towan Headland, and out to sea is this residential development site benefiting from planning consent for 74 open market apartments. 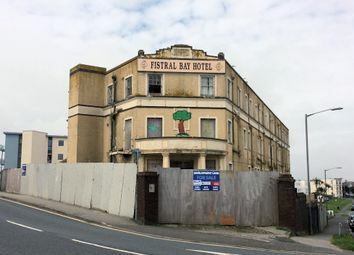 Measuring approximately 0.584 acres / 0.236 hectares, the site is currently occupied by a derelict, former hotel; The Fistral Bay Hotel, believed to have been built in 1910. 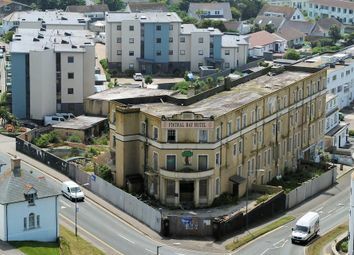 Originally a two-storey property, a second floor was added in 1912, and during the Second World War it was one of several large hotels in Newquay requisitioned as a convalescent hospital for the Army, Air Force, and Navy. The hotel ceased trading in 2006 after nearly 100 years of business. 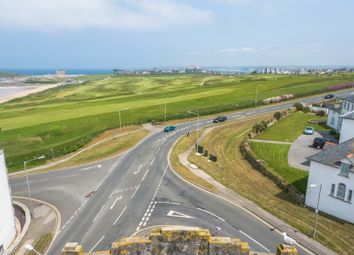 Located on the prominent corner of Pentire Avenue and Pentire Crescent, the site enjoys far reaching views across Fistral Bay, towards Towan Headland, and out to sea. 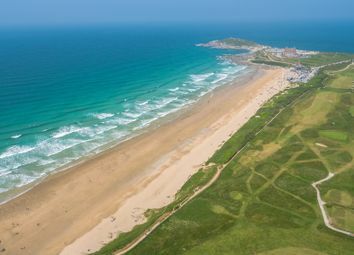 Newquay has been a major tourist destination for more than a century, principally on account of its coastline with nine long and accessible sandy beaches, including Fistral. Around 22,000 people live in Newquay, but the population can increase to 100,000 or more in the summer. 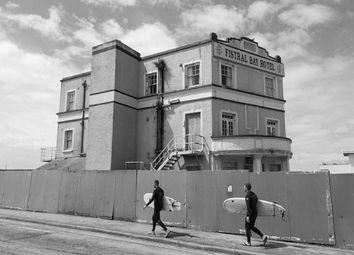 Situated in the favoured Pentire area of Newquay, the site is ideally located for the renowned Fistral Beach; a venue for major international surfing competitions as well as the acclaimed Boardmasters Festival. Other renowned events include Newquay fish festival, Newquay Art-8 festival, Newquay carnival, and the annual Night Surf. "One of the nation's favourite seaside towns" - Which Holiday Survey. "Best family holiday destination" - readers of coast magazine. "One of the uk's top ten beaches" - Trip Advisor. Rail: Newquay train station, located approximately one mile distance, handles intercity trains throughout the summer, which include a daily service to and from London in July and August and also further through trains to London, the Midlands and North on Saturdays and Sundays between May and September. It is the only branch line terminus in Britain still handling scheduled intercity trains. Air: Cornwall International Airport is located approximately six and a half miles distance. With flights to Spain, Portgual, Germany, and across the UK, including London Gatwick, Stansted, and The Scilly Isles; over 460,000 passengers passed through during 2017 - up 24% on 2016. The 2001 census recorded a permanent population of 19,562, increasing to 20,342 at the 2011 census. 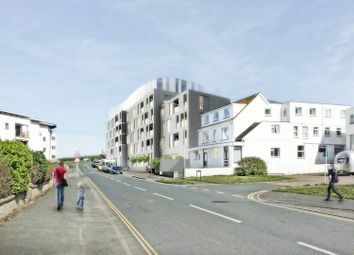 Recent estimates suggest that the total for the wider Newquay area would rise to 27,862 by 2018 and 30,341 in 2019. 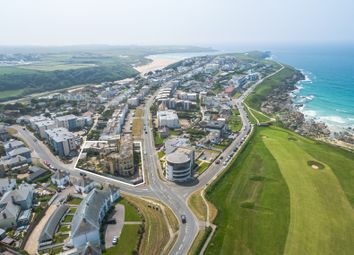 (Sources: Ons & Cornwall Council) According to the Zoopla Property Group, the average property price in Newquay has increased by 5.3% over the past 12 months, 25.6% over the past five years, 12.7% over the past 10 years, and 269% over the past 20 years (data correct as of June 2018). 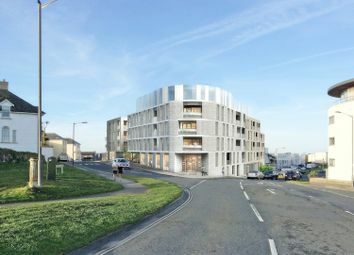 On the 27th September 2017, under reference PA17/00962; Cornwall Council granted conditional planning consent for demolition of the existing hotel, including out buildings and perimeter boundary walls, and creation of a new build 74 unit apartment building (comprising two separate blocks), with under-croft parking and A3/B1 retail and office space. Our clients have also sought Pre-Application advice in relation to increasing the approved scheme by a further floor, which was met positively. There is a Planning Obligation by Agreement, dated 26 September 2017, and made between The Cornwall Council and No1 Pentire Limited. Financial contributions are required in relation to Affordable Housing, Education, Highway Works, off site Ecological Mitigation and off site public open space. We have judged the sum payable to be £592,420, although Cornwall County Council have indicated this sum may be reviewed upon production of a viability statement. The full document will be provided as part of the Planning & Technical pack. There is no requirement to provide any affordable housing, either onsite or offsite. The approved scheme is not liable for any cil payment. The proposed cil Charging Schedule is currently in the modification stages as the Examiner's Report was received by Cornwall Council on 9th March 2018. It is the intention that the cil Charging Schedule will be adopted by Cornwall Council following the recommended modifications provided within the Examiner's Report. The proposed development is to benefit from mains gas, electricity, water, drainage, and telecoms connections. The Agents hold on file a proposed utility strategy which is available upon request as part of the Planning & Technical pack.